SAN DIEGO (KGTV) - San Diego Police are investigating the discovery of a man's body in the water off Mission Beach. Lifeguards discovered the body about two and a half miles off the shoreline about 11 a.m., officials said. They had been drawn to the area by a fisherman who saw a flock of seagulls in the water and went to investigate. 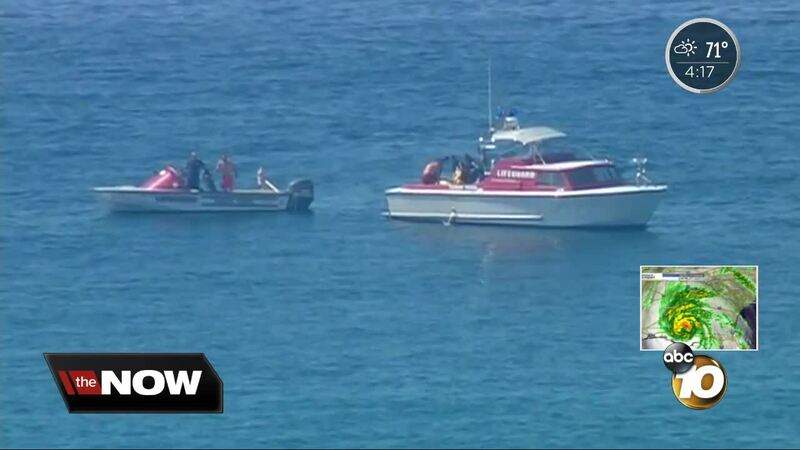 When they found the body, the man was only wearing only board shorts and was found with a chain around his waist. San Diego Police Homicide Lt. Anthony Dupree described the chain as a "half-inch linked chain. It almost looks like someone may wear it as a belt." Lt. Dupree also said there were no obvious signs of trauma or evidence that the body had been weighed down with anything, but the chain was concerning. The man's identity was not immediately released. Police said he was white, possibly in his 30s or 40s.